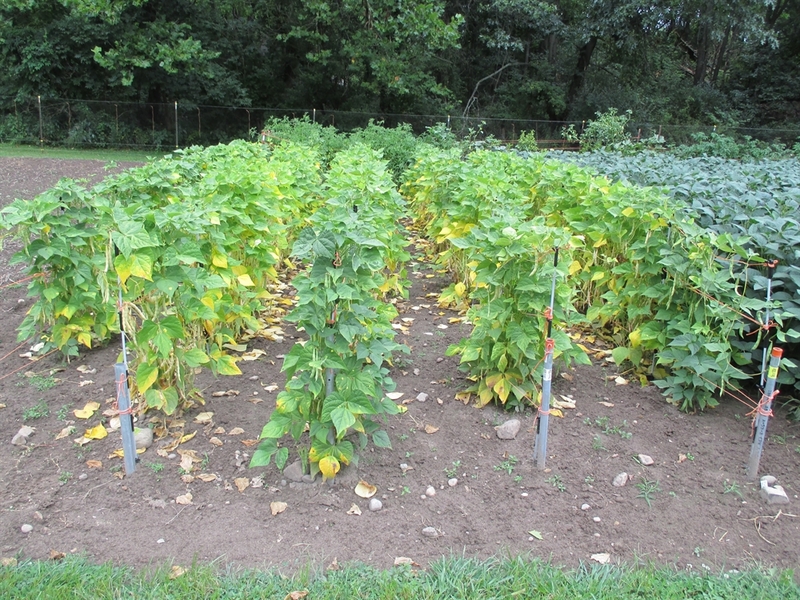 Phaseolus vulgaris 90 days Pinto beans are considered a favorite staple crop here in the North as well as in Mexico. 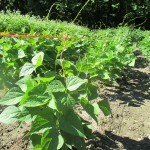 They are fairly easy to grow, nutritious, and cook up much faster than other types of dry beans. Pinto beans are very versatile. 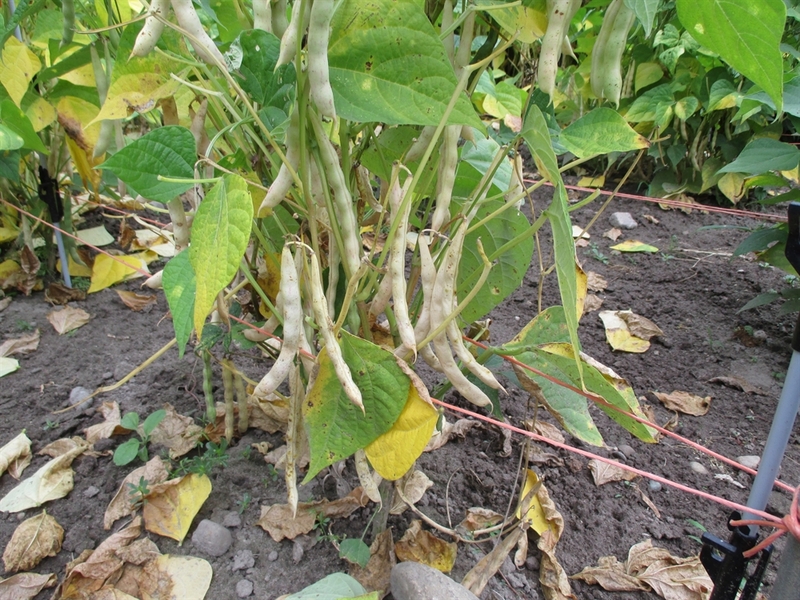 They can be eaten fresh as snap beans when young or left to mature as dry beans. Excellent for chili, soups, and are especially delicious if you like refried beans. The seeds are planted in the spring after all danger of frost has passed. 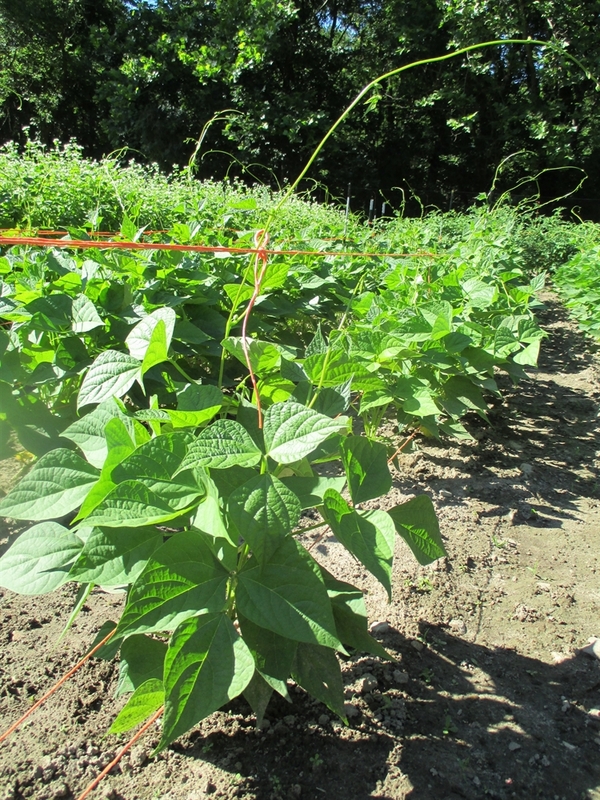 Plant 1″ deep and 2″ -6″ apart in rows. This Pinto variety is what is referred to as a half-runner. It grows bushy to about 2′ and then will send up runners (vines) another couple of feet. I recommend a light, 3′ tall trellis. 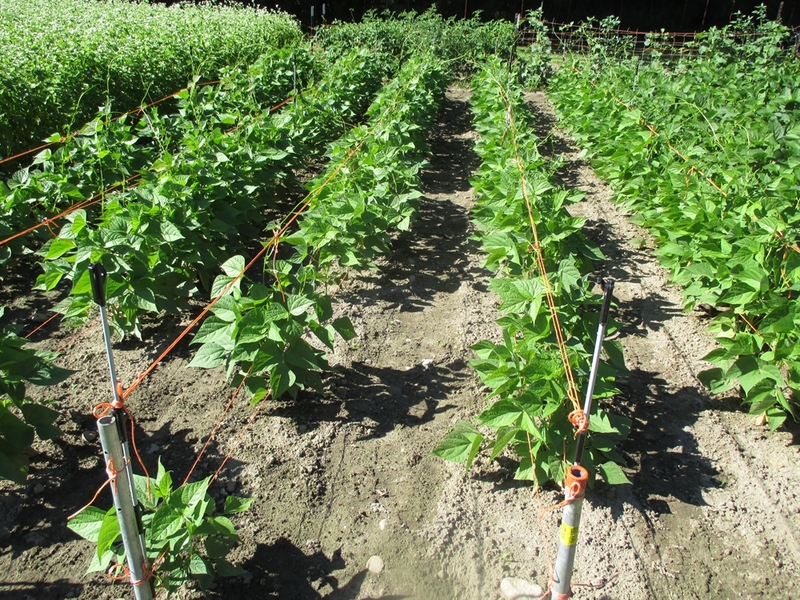 Place stakes or posts every 10′ and run twine across the top from stake to stake and then wrap the runners around this twine to hold plants upright. This will also make harvesting much easier. The harvest will occur over a period of about 3 weeks, starting at the latter part of August. 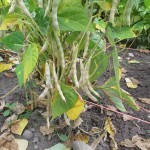 Harvest the dry, crisp pods from the plants weekly. If you wait until all the pods are dry to harvest you will lose a good portion of your crop to shattering. Shattering is when the mature pods burst and spill their seed out on the ground. After harvesting, allow the pods to further dry inside for two weeks before threshing and winnowing. 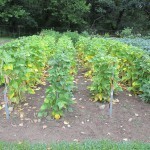 Seed Saving: Isolate from other Phaseolus vulgaris varieties by 25′ for home use, 100′-150′ for pure seed.